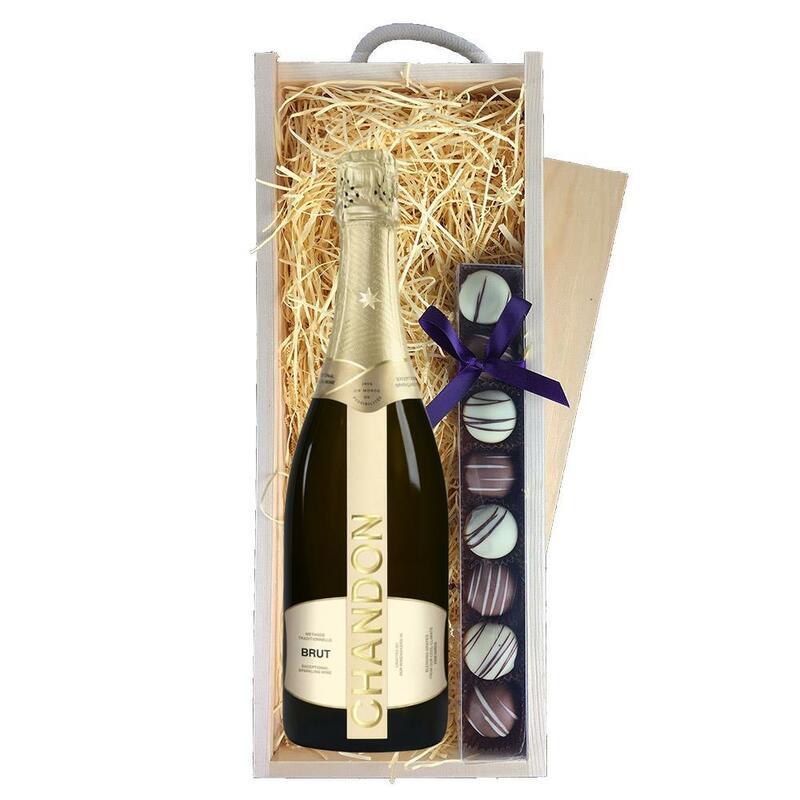 A single bottle of Chandon Brut Sparkling Wine 75cl 75cl and a single strip of fine Hand Made Heart Truffles(100g) Presented in a wooden gift box with sliding lid and lined with wood wool with a Gift Card for your personal message. Chandon Argentina was founded by Moet and Chandon in 1959 to produce a sparkling wine that combined French winemaking expertise and the passion of Argentina. From the foothills of the Andes, the classic grape varietals of Chardonnay and Pinot Noir have been skilfully blended using methode traitionnelle, resulting in a lively wine with fine bubbles and delicate citrus aromas. Perfect as an aperitif and for special moments with friends. This product is hand packed onsite by Bottled and Boxed, and is not affiliated with any other brand. Bottled and Boxed is responsible for this product combination/set.